We focus on providing our customers the best tree care services available. We not only offer amazing tree care services. But, we also live by our philosophy to treat our clients and potential clients exactly how any person should be treated. What sets us apart from our competitors is that we offer the best customer service. Our dedication drives us to give you the best quality service any customer can ever receive. You can give us a call and we'll give you a tree quote at no cost! We demonstrate our commitment and dedication to our clients by providing same day quotes as often as we can. In the modern commodity marketplace, we know that quality customer care is valuable. We have tried countless tree organizations before starting our own business. We have realized from our experiences that being a customer-oriented tree care will be different. We are not joining the competition – we are innovating the core values of the tree industry everywhere. Our clients can only expect the best tree care services with some personal touch. We treat our clients, whether they are home or business owners, with equal respect and dignity that they deserve. We put our customers first because we know how you would appreciate being valued and taken care of. 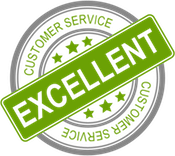 We're quite sure that you've seen almost all service companies offer 100% satisfaction. It's been a common and basic part of any advertisement nowadays. But, not all can deliver to their promises. This somehow makes the brand "100% satisfaction guaranteed" unreliable. But, we are different. We're proud to say that we can fulfill our promises and you won't be disappointed. There are many tree providers in the Boulder county area, so what sets us apart from the others? The answer is – we are committed to perform with EXCELLENCE and DEDICATION in everything we do. ​We're not only focused on providing high-quality services to our customers. We also include our potential customers and people we come in contact with. This includes our vendors, suppliers, advertisers, and marketers among all others. There are other service companies that can do the same things we do. But, the thing that can differentiate us from them is our reputation. We protect our reputation with utmost care and excellent client service. We accomplish everything with integrity, professionalism, and quality. This isn't just business for us. We do this because it's our philosophy in life. We provide a full range of services that outperforms all other tree companies. We provide the standard services that home and business owners expect from any tree company. But, we also offer other services rarely done by other businesses. Some of the rare services we offer are woof chipping, planting, fertilization, and even planting. With years of experience, our tree care experts and arborists can provide all the services listed below. 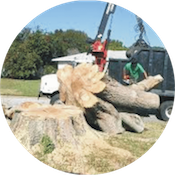 We are a one-stop tree contractor as a part of our customer service focus. The option that prioritizes the client’s best interest. The option that is in best interest of the trees and landscape. The safety and protection of the home or business is ensured. The safety and protection of our team members is ensured. Clients’ received 100% satisfaction at whatever cost. The thing with tree care businesses is that overhead elements are expensive. Tree care businesses have different fixed and variable expenses such as equipment, insurance, and labor. For example, equipment costs about $25,000 for forestry bucket trucks, and stump grinders would cost about $17,000. Insurance for our workers adds 20% to our labor expenses. For every $1,000 in labor expense, our insurance expense would be $200. But, many customers demand affordable prices for their tree care needs. We're not complaining, since overhead expenses are unavoidable in every business. These are expenses that we must cover to make a some profit. We offer fair and honest rates for all our services. This benefits both us and our customers. We know our customers prefer lower prices and professional, quality work at the same time. With that mindset, we think that the solution for both our business and our customers is by giving BEST VALUE pricing. With our value rates, we can offer high-quality, professional services at prices that are preferable to our customers. We might not offer the lowest cost services in the Boulder area. But, we can give you the best value rates that with QUALITY and AFFORDABLE services. We provide service to all over the Boulder County area that includes Erie, Jamestown, Lafayette, Lyons, Longmont, Louisville, Nederland, Superior, and Ward. There are thousands of indigenous trees within the Boulder area. We provide services to cover the needs of locals in all the communities. We could just stay and provide service in one city or county, but we don’t want to limit ourselves there. We decided that we want to be known is the Boulder area as the tree care company that’s willing to provide service anywhere. Sadly, not all tree care companies are insures and licensed. It’s true with most tree businesses that solicit their businesses by going from property to property. But, we do have to start somewhere and not all starting businesses have the right resources. Licensing and insurance is necessary in a professional tree business company. Without both, especially insurance, injuries that happen to the business’s employees will become the legal liability of the client. We’re sure that no client wants that kind of responsibility. We assure you that you can count on us to be legally licensed and insured. You can be sure that if an accident occurs, you will not be responsible for anything. But, also keep in mind that major or minor accidents rarely happen with us. Our experienced, professional staff follows strict safety procedures. ​A great way to help you decide on a tree business to call is by reading reviews from other clients. There are reliable internet websites where you can find reviews and experiences of other people with many tree contractor. You can look up some reviews at sites like Yelp, Google, or Glassdoor. We recommend all our potential clients to know the feedback of past clients. We’re sure that you’ll find many people who have already tried our tree care services. We will let their positive testimonials speak for themselves. We know that the moment you call a tree care service company, you want quick action and response. We know that you don’t want to be directed to an answering machine when calling for service. We do everything we can to meet these expectations. We do our best to provide service and on-site quotes as quickly as possible which is usually on the day you contact us. Unfortunately, there are circumstances that can delay us so we can’t promise that we will always deliver 100% of the time. Still, we do our best to meet these objectives with each and every call. ​Strong winds and snow are only some of the things that are just unavoidable. These natural disasters can damage your trees and your properties. They can knock down massive limbs or even entire trees down which can be seriously dangerous for you and other people. Because of these circumstances, we are always ready 24x7 during times of severe weather. We rapidly and efficiently remove the mess to help other first responders do their work. During these times, we out-source flex crew teams from local, unaffected areas. This lets us do our work in shorter time to provide service to our customers at a much faster pace. We will immediately dispatch a team to your house or property when you contact us. They’ll assess the damages and provide you with a verbal quote which will quickly be followed up with a written quote. We’ll then send a team to your area to quickly start the restoration process. This is just one of the countless reasons that make us the tree care business that you can trust and rely on. Like any professional service business, we manage and our business seriously. We strictly follow the Tree Care Industry Association’s (TCIA) advice and guidance. TCIA is the leading tree industry association of more than 2,300 tree care companies and organizations. Their goal is to advance and promote the tree care industry. We are also a member of ISA or the International Society of Arboriculture who sponsors and promotes the professional arboriculture practice around the globe. We have years of experience that lets us deliver great service to our clients in the Boulder area. If you need a tree care business that you can rely on, consider using our company.